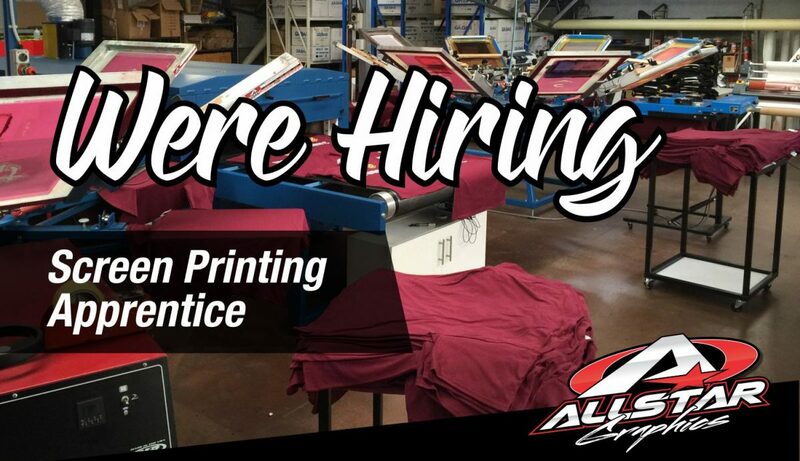 We are currently seeking applicants for the position of an apprentice Screen printer to join our growing team. The successful applicants tasks will include all aspects of apparel screen printing & DTG printing, this job will also include some sign making & digital print works. The applicant must be fit and healthy, enthusiastic, be able to work in a team environment, have a good work ethic and have integrity in all aspects of the job.